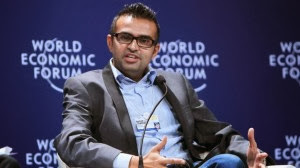 The World Entrepreneurship Forum has named Ugandan-born businessman Ashish J. Thakkar the world’s best young entrepreneur. Thakkar, 32, was given the award last Thursday at a gala dinner during the World Entrepreneurship Forum’s annual convention in Singapore. Thakkar was awarded alongside Virgin founder Richard Branson, who was named Serial Entrepreneur of the year, and Fadi Ghandour, Founder of Aramex, a leading global logistics and Transportation Company who was named Business Entrepreneur of the year. Other awardees of the night included Handicap International founder Jean-Baptiste Richardier of France who was named the Social Entrepreneur of the year; Daniel Epstein, founder and CEO of the Unreasonable Group, who was named Educator of the year and President Ellen Johnson Sirleaf of Liberia who carted away the Policy Maker of the year award. Ashish J. Thakkar is the founder and CEO of Mara Group, a pan-African conglomerate that operates in 26 countries and employs over 7,000 people. He grew up in the UK and Uganda, survived the terror of the Rwandan genocide, and started his first company at the age of 15. “It’s very humbling for me and this gives me all that more energy. The thing I’m most excited about is that we as Africa won,” he said by email. The awards were organized by the World Entrepreneurship Forum, a think-thank founded in 2008 by EMLYON Business School, KPMG France, and the Nanyang Technological University in Singapore, among others. The World Entrepreneurship Forum brings together leading entrepreneurs, thinkers and builders from 75 different countries to tackle some of the world’s most pressing issues with entrepreneurial solutions. “We as Africa are being recognized, which is brilliant. 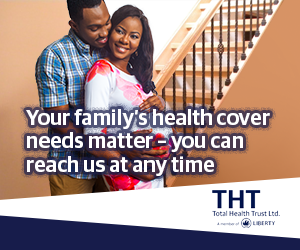 People are realizing that we too can have best global practices,” Thakkar said. Thakkar started his entrepreneurial journey at the age of 15 as a high school student in Uganda where he sold computers to his schoolmates and friends. He dropped out of school and built that trading operation into the Mara Group, which tentacles in technology, real estate, manufacturing and financial services, grossing more than $100 million in annual revenues.